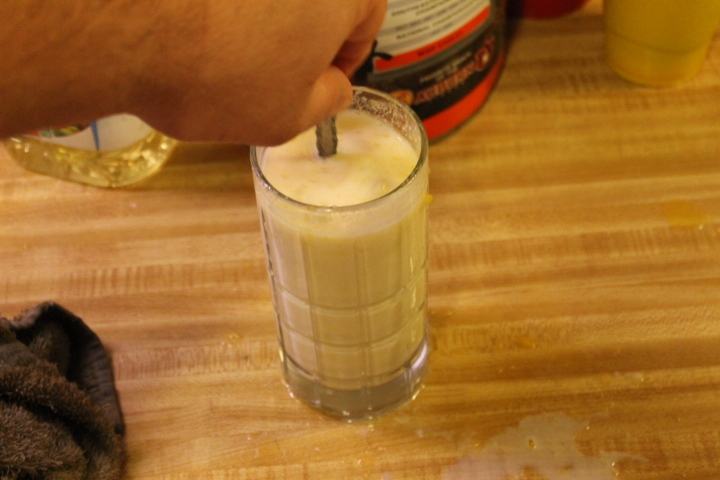 This recipe is going to be a quick and healthy option for anyone to drink! 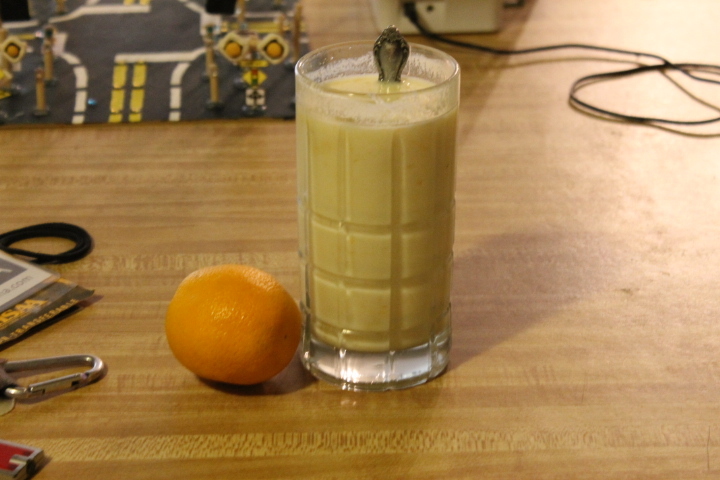 That’s right, I have made a banana and orange smoothie without the use of a blender. 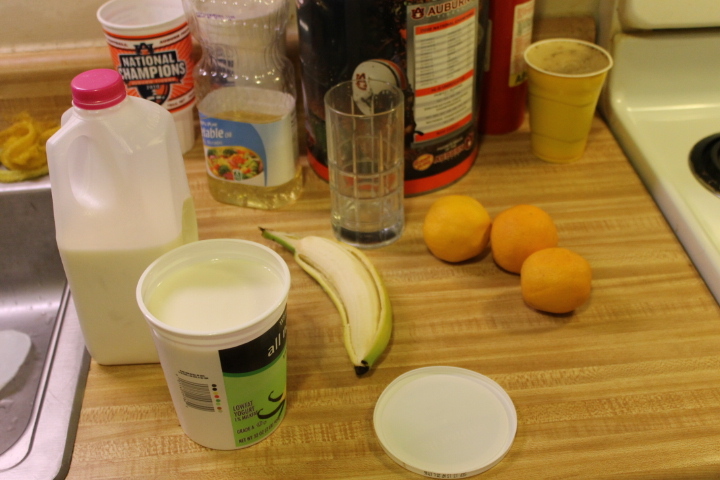 Since I don’t have a blender, I found this recipe easy for anyone to make. You have no excuse to not make something like this! Here’s what you need! 1. Get all of your ingredients out! 2. 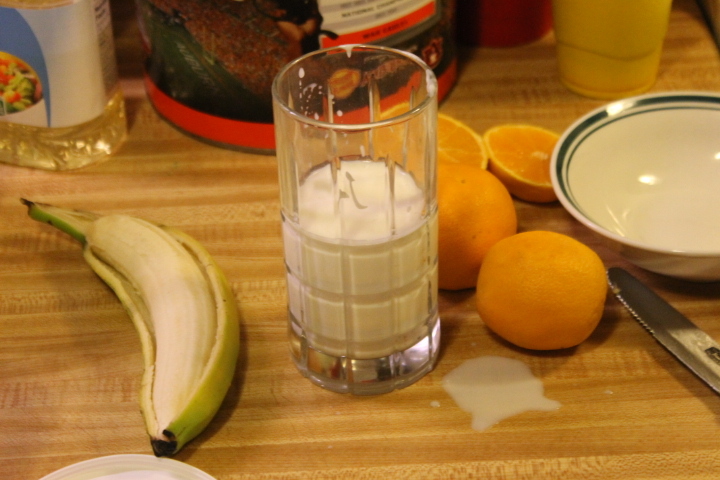 Place yogurt and milk into the glass. 3. 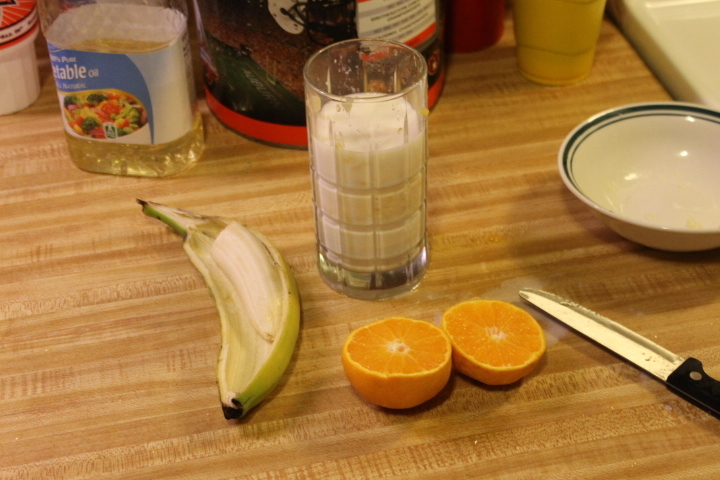 Slice two oranges in half, squeeze orange juice and some pulp into the glass. 4. 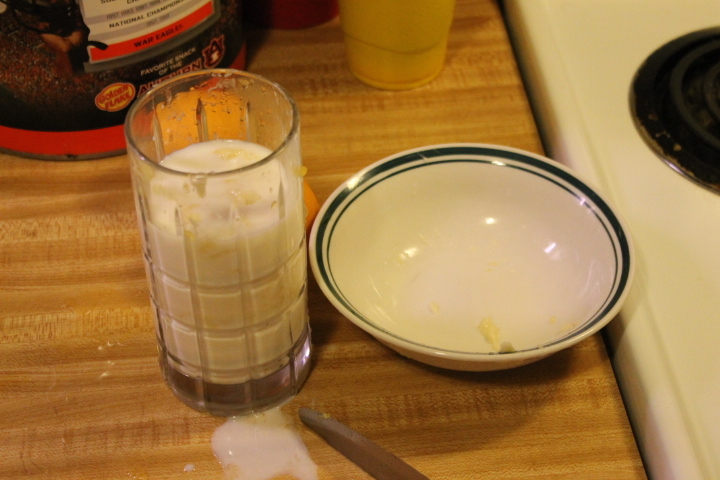 Smash banana in a bowl, then place into glass. 5. Place sugar into glass. 6.. Stir well! 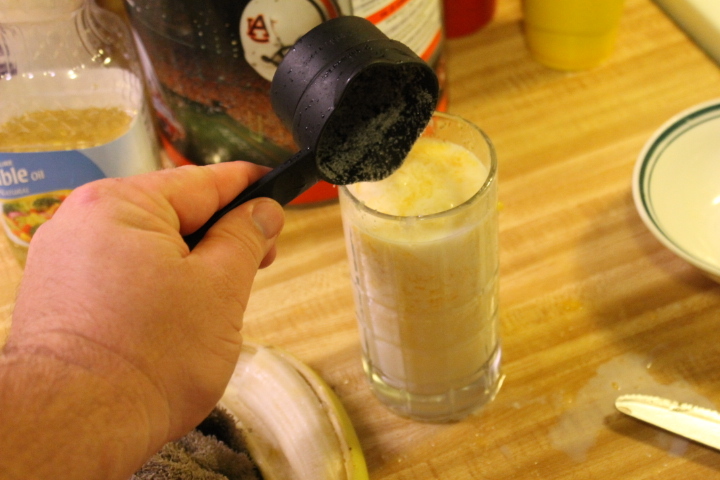 If you have a blender, you could use it to blend as well! 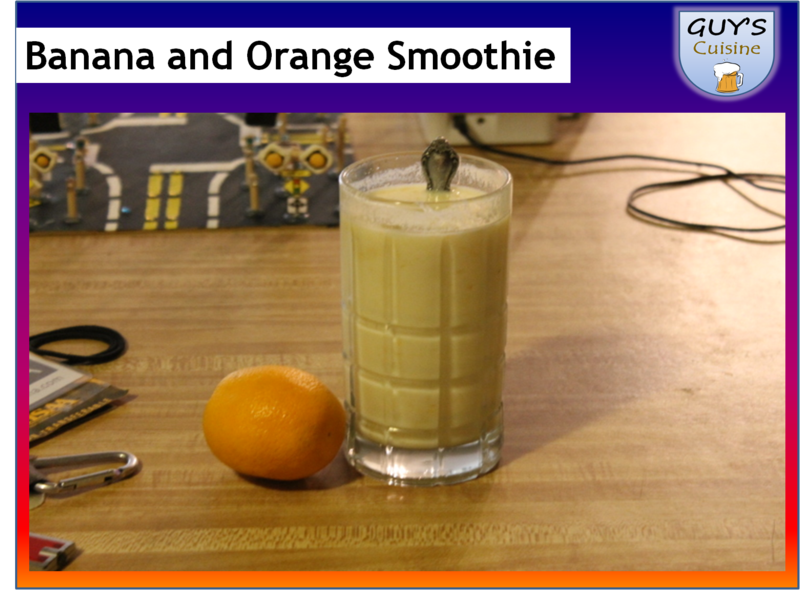 A healthy way to enjoy a drink, enjoy!